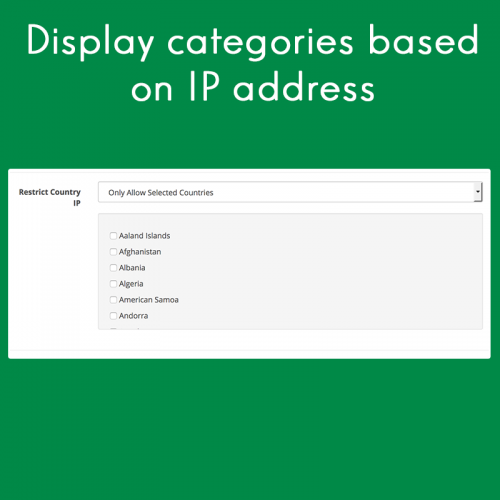 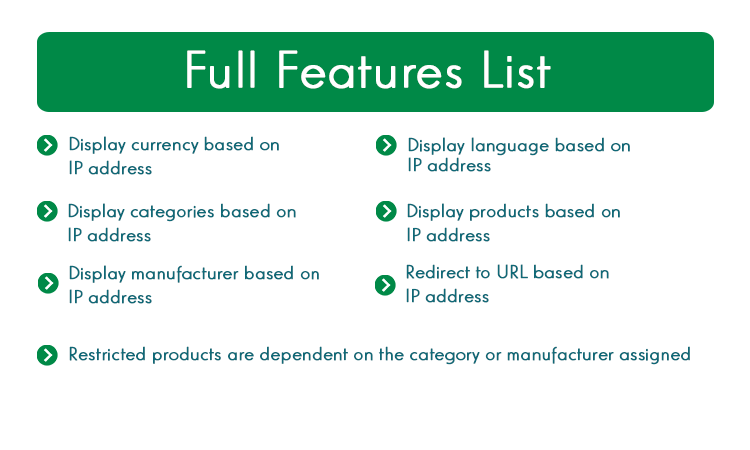 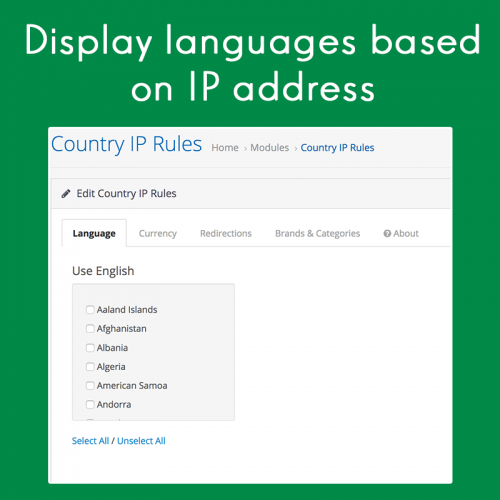 Ever need to detect your customer’s IP address and setup rules accordingly? 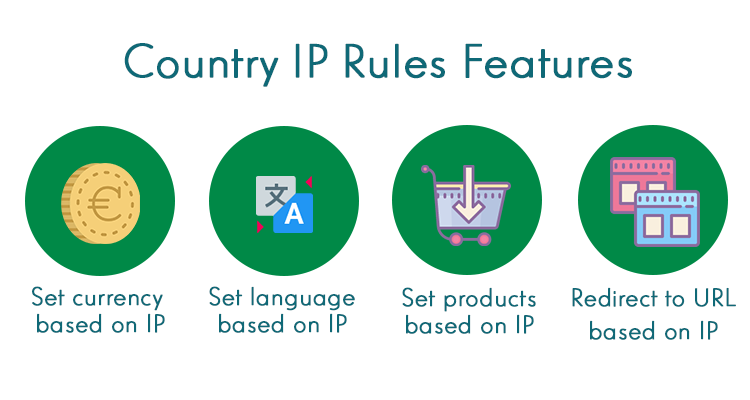 Country IP Rules does just that! 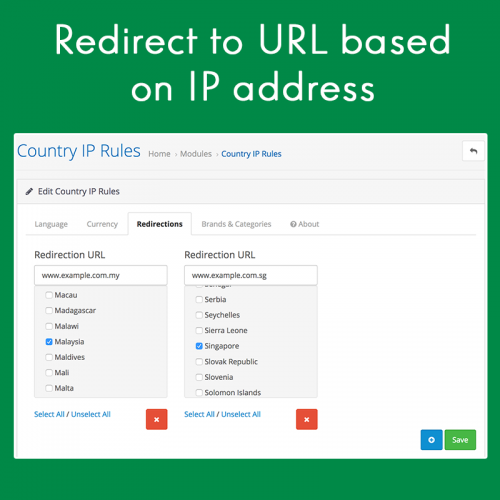 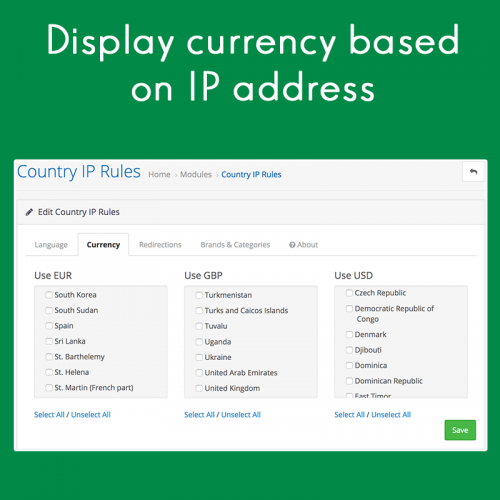 Redirect your customers to a different page based on their IP address, or control their default currency and language with this extension.